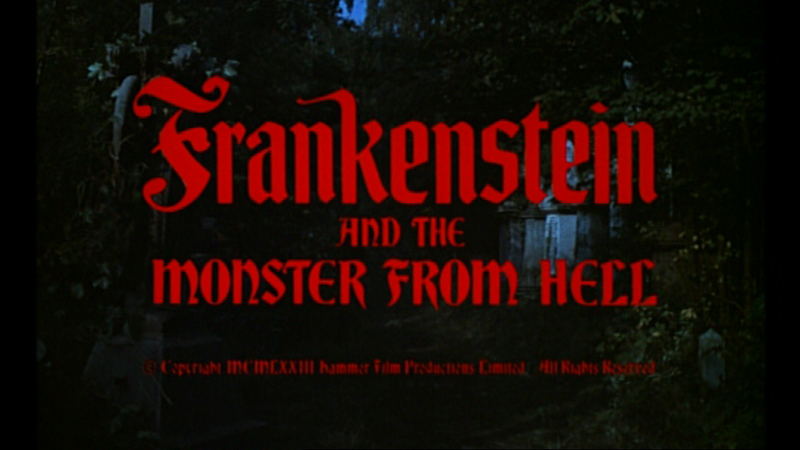 This entry was posted on July 18, 2008 at 4:46 pm and is filed under FILM with tags Bedlam, Brian Cox, Christopher Lee, Frankenstein and the Monster From Hell, Freddie Jones, John Stratton, Madeline Smith, Marat/Sade, Patrick Troughton, Peter Brook, Peter Cushing, Peter Weiss, Redbeard, Shane Briant, Terence Fisher, The Devil Rides Out, Val Lewton. You can follow any responses to this entry through the RSS 2.0 feed. You can leave a response, or trackback from your own site. Youre readout of the Baron’s major flaw is absolutely right. He seems to have blinders on about the entire world. He can’t see outside of his own demented head. Other people are simply Bodies to be Used by him to ends that are never really specified because the Using is ALL. 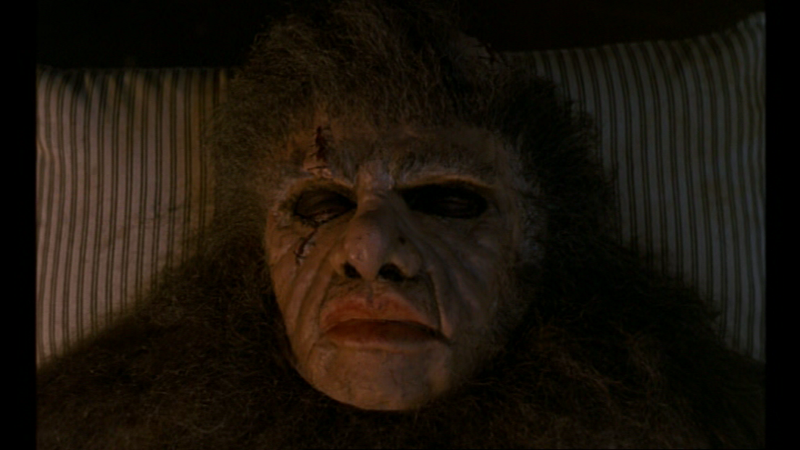 Madeline Smith may have a balcony you can do Shakespeare from, but I imagine Fisher might have felt its presence would conflict with Dave Prowse’s massive hairy chest — even though the latter is there to frighten rather than arouse. 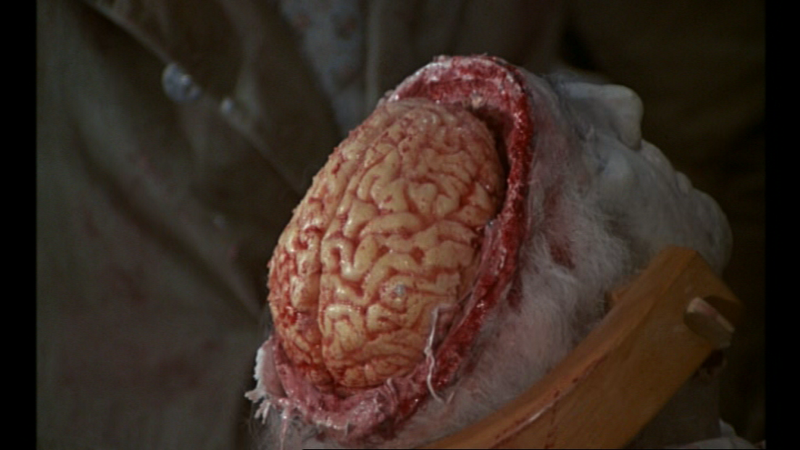 The still of the exposed brain reminds me of Ridley Scott’s sadly underrated Hannibal — the sequel to The Silence of the Lambs that I much prefer to the original. To begin with it’s a Giallo — a highlight being a marvelous “Keeping up with the Argentos” dispatching of Giancarlo Giannini. But that’s just a warm-up to the grand finale in which arch-villain Sir Anthony Hopkins serves archer-villain Ray Liotta his own brains to eat — his head open as in the still above. 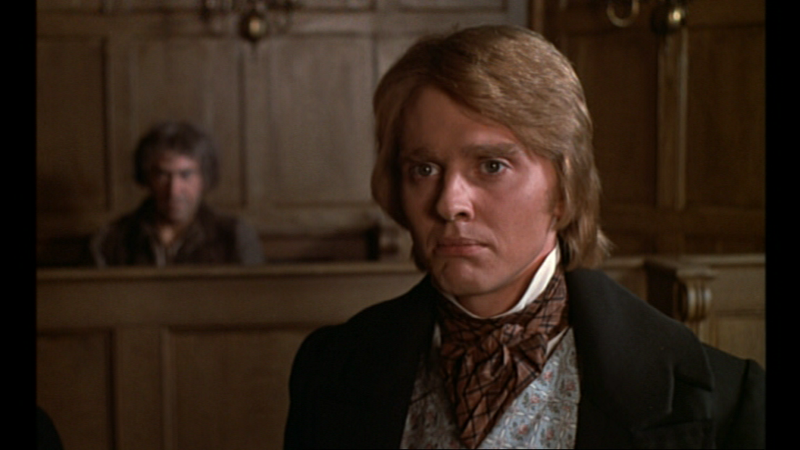 With Dr. Lecter escaping yet again at the end he’s clearly the Baron’s true heir. But as with FATMFH, there won’t be another sequel. 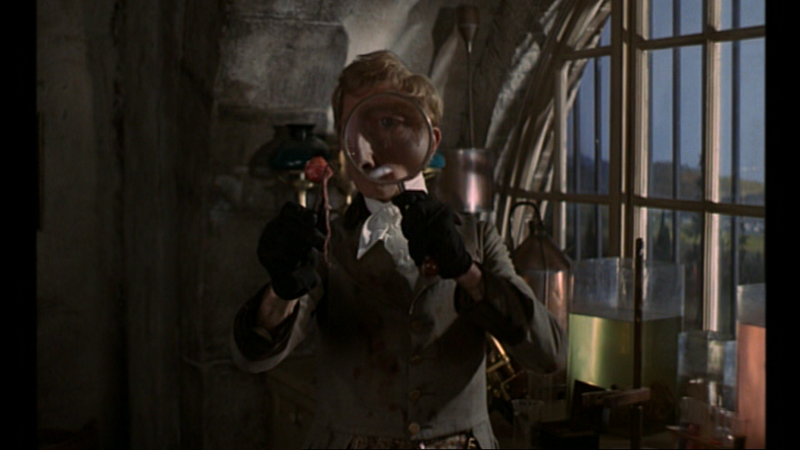 The brain-eating in Hannibal is straight from the book, a very entertaining, if morally bankrupt, bit of grand guignol. I like the Demme film too much to fully embrace any sequels, alas. I like lots of Manhunter too, but Mann does have a tendency to make sweepingly in appropriate directorial choices, and that film eventually suffocates under them, at least in my eyes. 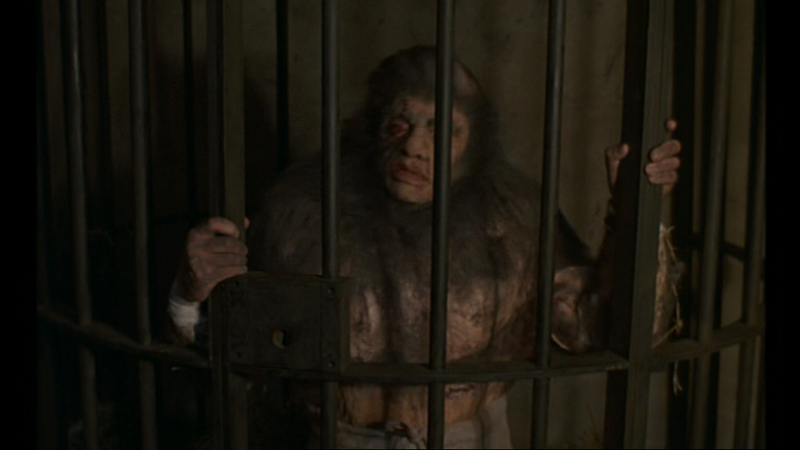 If I could somehow transplant Brian Cox into Silence of the Lambs in place of Hopkins, I’d be happy. Dragging things down to the cheap seats again; the self-referential magnifying glass scene here is recreated by Peter Cushing in the actually very funny Zuckers’ Top Secret. Here Cushing, playing Antiquarian Bookstore Owner, is seen in close-up through magnifying glass but when the glass is removed his eye is really VERY VERY BIG. I also loved how Joe Dante cast Christopher Lee as Dr Catheter in the delirously, gloriously referential and fun Gremlins II. Any other Hammer spoofs in Hollywood films you can think of? I once saw Brian Cox as I was coming off a plane at Prestwick Airport and my first response was autonomic fear – f*** me it’s Hannibal Lector! I did this too with Kevin Mckidd just after the wonderful Small Faces had been released – f*** me it’s Malky Johnson. I’ve obviously got reality issues. That Top Secret scene is pretty weird stuff — not only is Cushing’s appearance genuinely disturbing, but the whole dialogue scene is conducted backwards, years before Twin Peaks. Maybe it’s because I’ve worked behind the scenes, but I never get those reactions to actors. Upon seeing Christopher Walken at Nice Airport, my prevailing emotion was exultation, which would hardly be appropriate if I associated him with most of his roles. “His hair looks GREAT!” I declared, loudly. Fiona directed Kevin McKidd in his first film btw, a history we still intend to draw upon sometime. 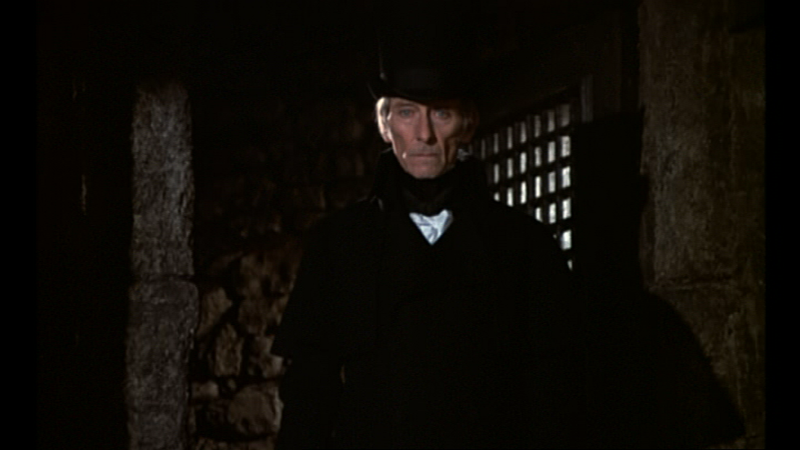 Burton’s casting of Lee is highly referential, and his presence in Sleepy Hollow (along with the great Michael Gough) stamps it as a Hammer homage. But there are surprisingly few of its kind — plenty of films directly influenced by the Hammer approach, few references — because it probably doesn’t boost a filmmaker’s credibility to pay tribute to such stuff! No need to forgive John Elder: that’s Anthony Hind’s nom de plume right there. Perhap perversely, I love the furniture subplot in EVIL. They spend ten minutes discussing how discrete they are going to have to be, and in the space of 30 seconds the Baron manages to insult both the innkeeper and arouse the anger of the police. Brisk work, but Cushing always was a sprightly fella! Beautiful! Am going to have to look into this book. And I can envisage a blog post about just such marginalia. Nicholas Ray used to jot the characters’ thoughts down next to the dialogue so he could help the actors with subtext. Yes, I knew either Elder was a pseudonym for Hind or vice versa. At any rate, I knew he was primarily a producer. It shows! That should be of help in finding it! It’s good, actually: just what I was looking for when I trundled int the library on Thursday. He’s done a Bray one too, apparently. 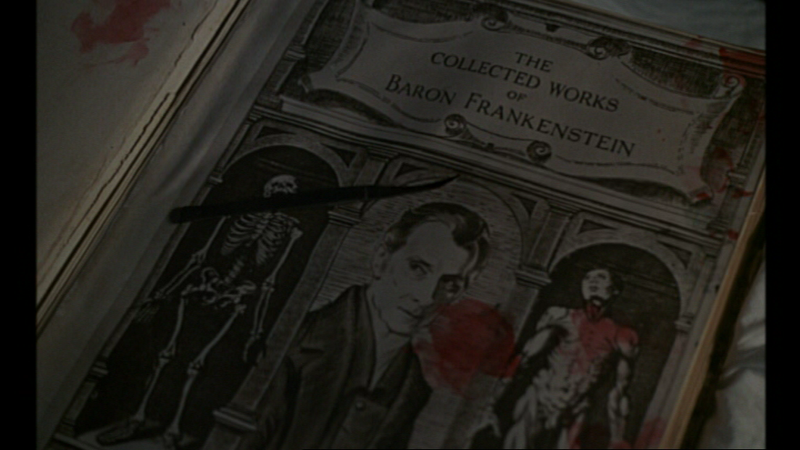 There’s images of other script pages from Cushing that delve into the mechanics of using all of the old medical instruments and other aspects of early anatomy. Notes on how to open up a skull, for instance! Apparently he used to pop into his GP and ask how it was done! Is this the book that’s got lots of censor’s notes as well?